Microsoft Publisher is a flexible, feature-filled desktop publishing program that makes it easy for you to create print, web and email publications to suit your needs. You can use the vast array of Microsoft Publisher templates available to create the perfect publication in minutes, or you can spend more time and create a custom publication from "scratch." You can even create a custom Microsoft Publisher template to use again and again. In addition, you can use Publisher in conjunction with an Excel table, Outlook contacts or other data source to perform mail merges, build web pages using your brand, logo or theme and create email newsletters that are clean and professional. Microsoft Publisher templates can be found in a variety of places, but perhaps the simplest place to locate them is from within Publisher itself. The method you will use to access built-in Publisher templates depends on the version of Publisher you are using. In Publisher 2003, go to the File menu and select New. Click Templates under New from a Design in the New Publication task pane. If you are using Publisher 2007, go to the File menu and click New. Select the type of template you want to find, such as a calendar template. Select the template you want to use from the gallery. In Publisher 2010, go to the File tab and click New. Under More Templates select the template category you wish to view. Click on the template you want to use and click Download. Another place to find a treasure trove of Microsoft Publisher templates is on the Microsoft Online website. You can browse by category or search a specific keyword to find the type of template you want to use. You can search based on a single keyword or use two or more words to narrow your choices. For instance, if you search the word card, you will find templates for greeting cards, business cards and more. There are many advantages of using Publisher aside from the availability of templates. For example, you can create desktop publications in Microsoft Publisher without using a template. When you start Publisher you will be presented with some options. In Publisher 2003, click Blank Publication in the New Publication task pane. In Publisher 2007, click Blank Page Sizes on the start page under Popular Publication Types. 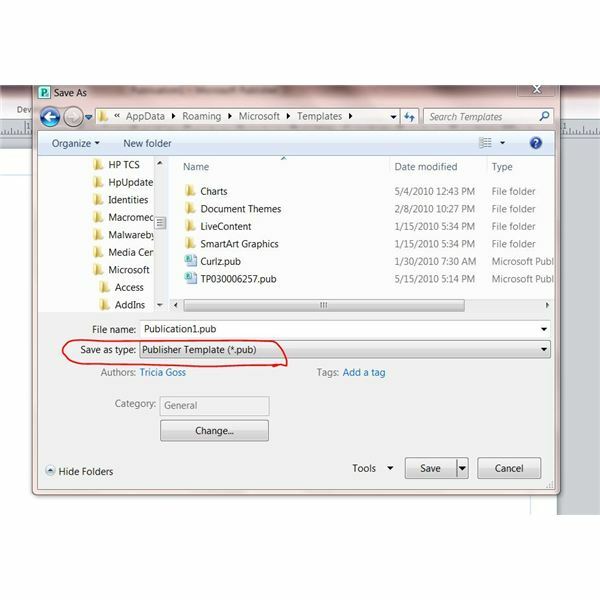 If you are using Publisher 2010, click More Blank Page Sizes under Available Templates on the start page. Double-cick the size and orientation you want to use. To enter text onto a blank publication, go to the Insert menu or tab and select Text Box. Draw the text box where you want it on the page and type away. Likewise, you can insert other objects from the Insert tab or menu such as pictures, shapes and tables. After inserting objects onto the page, you can align the objects by dragging or nudging them. You can also use the options on the Format tab or menu to edit the appearance or change the layout of these objects. If you simply cannot find a premade Microsoft Publisher template to suit your needs, you can make your own. This is especially helpful if you want to create slightly different versions of one type of publication, such as brochures for various departments of the same organization. To do so, create a publication with your desired specifications and then save it as a template. Go to the File menu or tab and select Save As. Choose Publisher Template in the Save as Type box. Enter a name for the template and click Save. 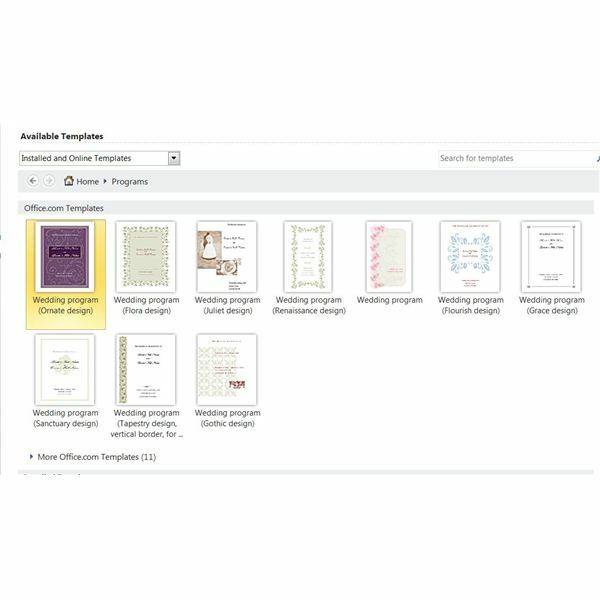 Your custom Microsoft Publisher templates will be displayed in the My Templates section of available templates the next time you start Microsoft Publisher. Perhaps the best place to find templates and lessons for Microsoft Publisher is the Publisher home page. Microsoft provides help, training and demos on the site, which you can search or browse by the version of Publisher you are using. Of course, you can find a comprehensive collection of Publisher tips and tutorials here at Bright Hub. If you want to learn how to convert a Publisher file to a PDF, for example, or learn handy and helpful keyboard shortcuts for Microsoft Publisher, a quick search of the Bright Hub library will have you learning in no time. Another great way to learn more about how to use Microsoft Publisher is simply by using it. Check out the menus and tools on the toolbar or ribbon to learn what features are available. Play with formatting, color and font schemes and templates. Familiarize yourself with all that Microsoft Publisher has to offer and become a hands-on desktop publishing expert.